Today’s Guest Post looks at home security, something we all take very seriously no doubt. We had a Yale alarm fitted last year and I can honestly say it gives me real peace of mind. Enjoy! For most people family is the most important thing in their lives, and instinctively we want to keep the ones we love safe and secure. ‘Have a safe journey’, ‘stay safe’ and ‘be careful coming home’ are phrases used week in and week out in many family homes. Unfortunately, the days of being able to leave front doors wide open while your children play on the streets are long gone. A residential burglary takes place every 40 seconds in Britain, with burglaries increasing by up to 20% when the clocks go back, as thieves take advantage of the darker evenings, so now is the time to make sure your family are safe and secure so you can relax and enjoy the autumn and winter months. 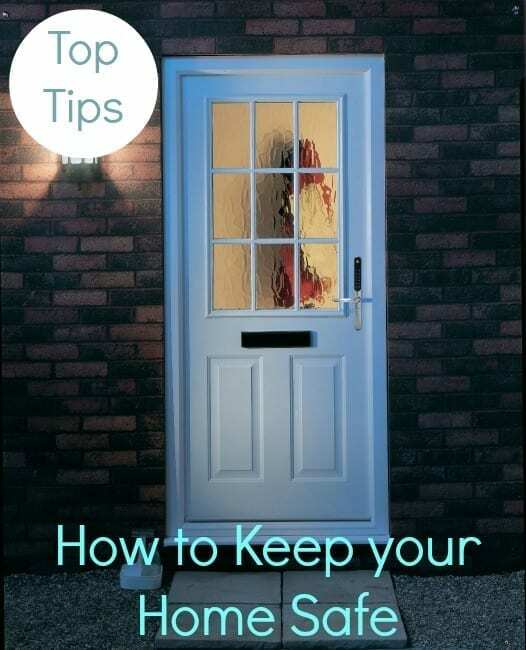 Most burglaries take place when a house is empty, so if you do leave your home for an extended period of time it’s important to make sure it’s properly secured. You can do this by making sure all doors and windows are fitted with secure locks in line with British standards. It’s also important to lock your doors and windows whenever you’re out the house even if you’re just popping out for a few minutes. These days, families are looking for convenience, as well as peace of mind, so it’s worth considering the latest digital technology: digital door locks. You can never be quite sure that the kids will remember their keys or that they won’t lose them on the way home from school, but digital door locks are here to save the day. They allow you to access and protect your property with a personalized PIN number and if the kids forget the code, you can simply text it to them. Yale’s Digital Door Lock offers clever security features that include the fake PIN code function, which prevents others from identifying your passcode during access. This works to confuse onlookers, while at the same time allowing you to enter your PIN away from prying eyes, keeping your home safe and secure. Temporary PINs can also be issued for visitors, such as neighbours and tradesmen, and deleted at the touch of a button, so there is no need to reveal your family passcode. Another great way to secure your home is installing a house alarm. Studies reveal you are far less likely to become the victim of a burglary at home if you have a correctly fitted and well-maintained burglar alarm. Alarms act as a great visual deterrent, as well as alerting neighbours in the event of a break-in. Now for the outdoors… It can be impossible to keep your eyes on all areas of your property at once, especially if you have a young family keeping you on your toes. Fitting a padlock on your shed can help to keep your tools, bikes and lawnmowers safe. Another top tip is to keep your driveway and paths well-lit. Burglars prefer to move under the cover of darkness; so shining a security light on them can be a very effective way of warding them off. Also avoid leaving spare keys under doormats, potted plants or any other obvious outdoor locations. 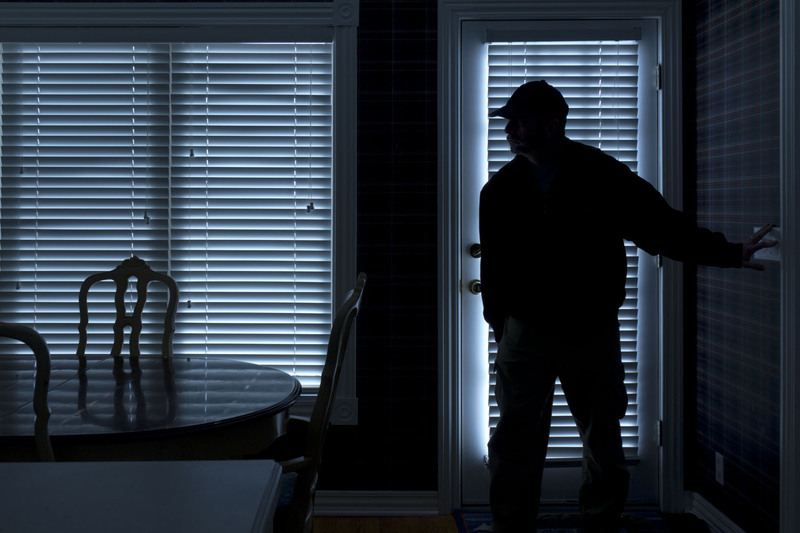 Burglars have experience and know exactly where to look. Find an uncommon place to hide the keys or, better still, give a set to someone who you can really trust, such as a friend or neighbour, or install a digital door lock. If you’re lucky enough to grab a winter break make sure you cancel any mail or milk deliveries and try to get a friend or neighbour to keep an eye on your home. When you’re away don’t leave notes for tradespeople or family members on the front door, mailbox or garage, as these are green lights to potential burglars. For more home security advice check out National Home Security Month (NHSM). Running throughout October, it is designed to create awareness around home security throughout the dark autumn and winter months. Great safety tips! Especially the digital door locks – no doubt the hardest kind to pick or break into. Most people have the standard door locks which are not good. However, I would also recommend putting a digital lock on the shed because padlocks are very easy to break into. Cheers! Super clear blog layout by the way. Home should be safe or you could suffer badly. Keep your money in a proper safe that can not be broken easily. Read about the best safes available which will protect your valuable items.